Topi Ruotsalainen is a Finnish contemporary artist whose paintings often show people in different groups or settings. However, the main topic is not the people themselves, but what is about to happen – the story between the lines. “I have always drawn – as long as I remember – and my subjects were almost always people,” says Topi Ruotsalainen. 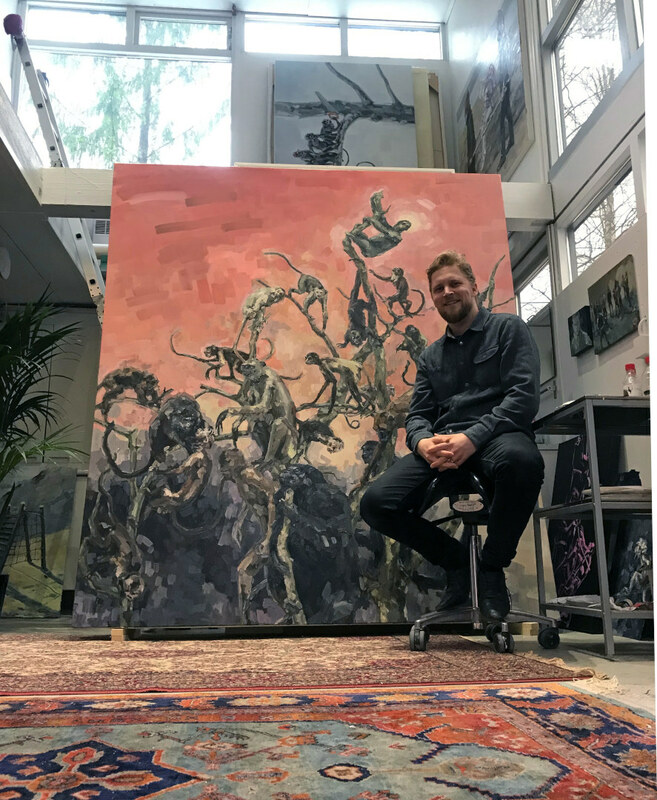 He has two master’s degrees in arts, and he works in his studio in Espoo. He also teaches a weekly class at the Kauniainen School of Fine Arts. Topi Ruotsalainen in his studio. Ruotsalainen will also take part in the exhibition Mind the Gap – Silence and Masculinity, which opens later this year.